Takenoko, X-Wing Minatures, Betrayal at House on the Hill, Forbidden Island / Desert, Alhambra. All these games have one thing in common; Their pieces slide all over a smooth surface as you’re playing the game. There is a solution for this and it is called a Playmat. Playmats are great for several reasons. They are usually themed so they look great with the game. They provide an “anti-bumping” surface. And, they can define the playing area. Most playmats also have one thing in common. They can be expensive. If you were going to suggest one ‘gateway’ table top game for kids (girls) and a grown woman (my wife) that would be an easy way into more “Nerdy” table top games … what would you suggest? An intriguing question, no doubt. But just one? I responded with several and I thought it would make a great article. Like most everyone, I have friends and family that aren’t quite as geeky as I am. And let’s face it, some people just won’t like tabletop games. I don’t judge anyone for that. I question their sanity, but i never judge! And breaking out Mansions of Madness or Descent for your mom’s first real Tabletop experience probably isn’t the best idea. I’m basing these suggestions on games that I own and have played, specifically these are games that I have used to introduce my non-gaming friends and family to the wonderful world of Tabletop Gaming! 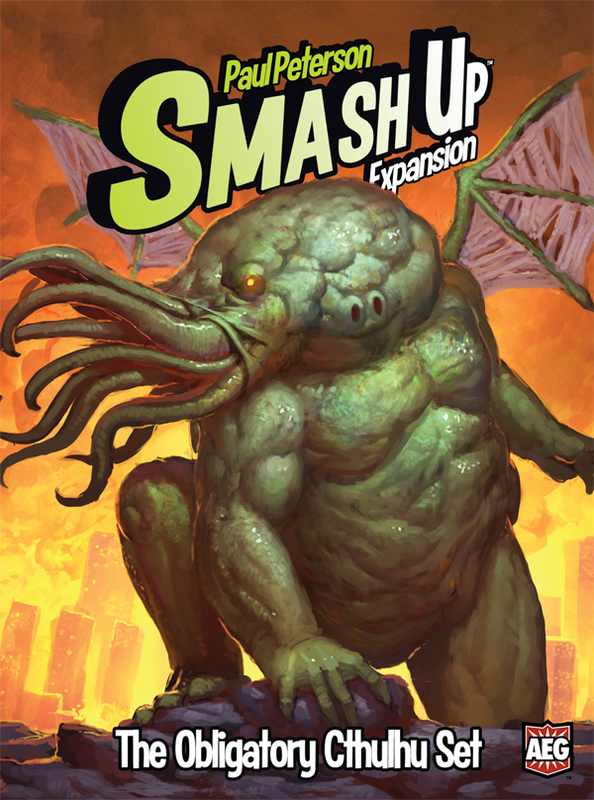 The latest set released by AEG is The Obligatory Cthulhu Set. Obligatory for sure! We love all things Cthulhu. We own Elder Sign, Mansions of Madness, and Cthulhu Gloom. All of which are based on H.P. Lovecraft’s brilliant stories. In fact, I own H.P. Lovecraft: The Complete Collection. 1. The rubbery lining of the stomach of cattle or other ruminants, used as food. 2. Informal Something of no value; rubbish. I read a lot of tabletop game reviews. I watch a lot of video reviews and gameplay. And FYI, video reviews and gameplay are rarely the same thing. For the most part everything I read or watch has the same formula. Generally, I don’t see a huge difference from one review to the other with the exception of the end score or rating. I started this blog because I wanted to write my own reviews. I’m not concerned with reviewing every possible game available. I just want to review games that I own and/or have played. But something has kept me from proceeding. What do I have to offer that isn’t already being said? And who is even going to see my reviews besides the handful of people I send a link to. Do the interwebs really need yet another random person reviewing tabletop games? It’s been way too long since I’ve posted to this blog. Life has been pretty busy. Specifically related to work. Which is a good problem to have. Our game collection has been growing, however, and I’m anxious to start blogging about our adventures. So if you’re following this blog, I apologize for the lack of updates and content. Rest assured I have plans to remedy this in the very near future so please stay tuned. Several weeks ago I created the Wichita Area Tabletop Meetup Group because I was having a hard time finding a group of tabletop enthusiasts like me that wanted to play on a regular basis. Several people have joined and on April 27th we’re having our first meeting with the featured game, Ticket to Ride. One of the members had mentioned that the local county extension office hosts a family board game event every other month and on April 13th they were having an all day “Mega Event” called Tornado Alley. I called and spoke to the organizer, Elizabeth Brunscheen‐Cartagena. She was so excited to tell me all about the event. I also learned of her husband, Bart who helps organize another group of tabletop enthusiasts here in town. Jackpot! In the geekdom days of my youth many a tests and homework assignments were cast to the wayside in honor of Magic the Gathering. I can remember going to the game shop on Monday afternoons with my Sears paycheck in hand ready to buy as many booster packs as I could, hoping for that one card that would allow me to dominate my competition. At some point I realized that I couldn’t keep doing this and ended up selling all my cards for what I’m sure was a totally undervalued price to some kid destined to follow in my footsteps. The years went by and 19 years later I’m finding myself sucked right back in. This time, however, it is more about spending time with my oldest son. He’s 12 and our family has become quite an avid fan of all things Tabletop. One of the first games that grabbed my attention when I first started watching gameplay videos on Geek & Sundry was Star Fluxx. After watching it I immediately found a local game store here in town that had it in stock and purchased it. Star Fluxx is a themed edition of the card game Fluxx distributed by Looney Labs. Fluxx starts out with 2 simple rules called the Basic Rules; draw 1 card, play 1 card. After dealing 3 cards to each player, whoever can grab a card from the draw pile goes first. Following the Basic Rules, the player then plays a single card (unless a card states otherwise, more on that later). At the end of the players turn, play continues counter clockwise. Sounds simple enough but Fluxx is called Fluxx for a reason. 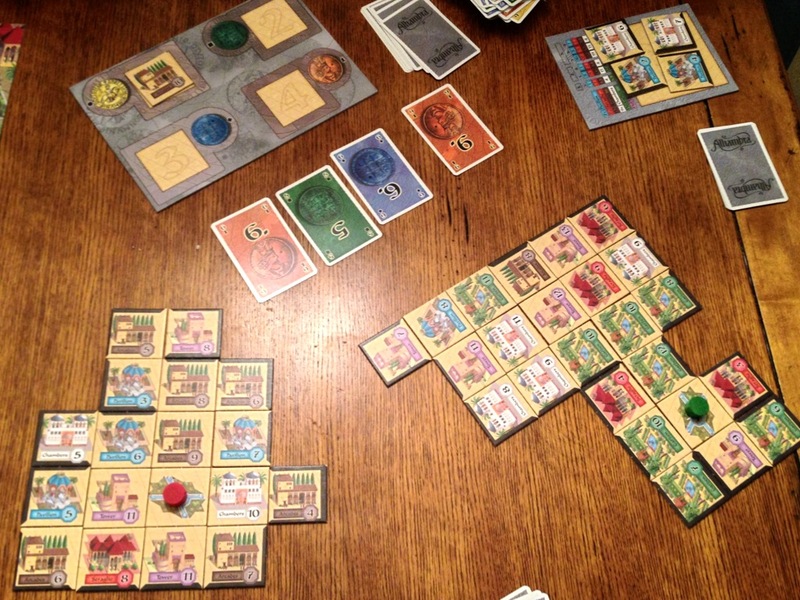 I’ve enjoyed table top games for as long as I can remember. Growing up it was board games like Concentration, Checkers, Chinese Checkers, and Monopoly. And card games like Hearts, Gin Rummy, and Spades. As I got older I discovered Customizable Card Games (CCG) like Star Wars and Magic the Gathering. And as I got even older I started discovering that I was only tapping the surface of what is available to table top gamers.